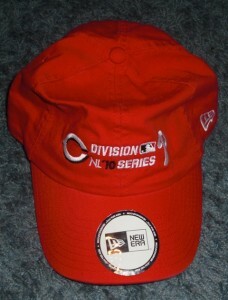 Posted on 09. Oct, 2010 by Corey in All, General Baseball. 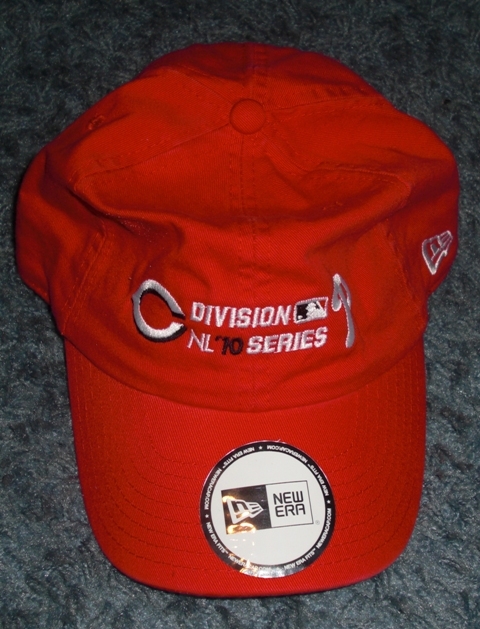 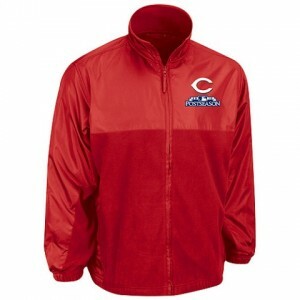 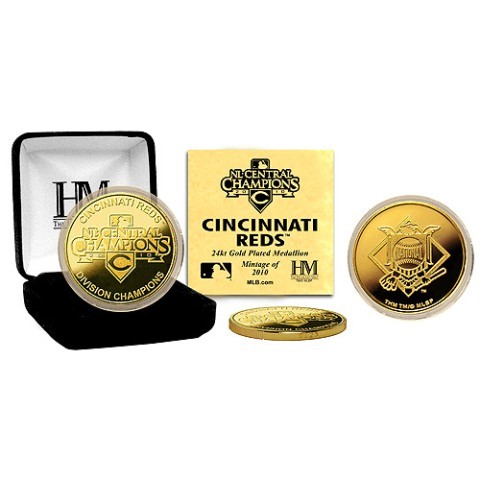 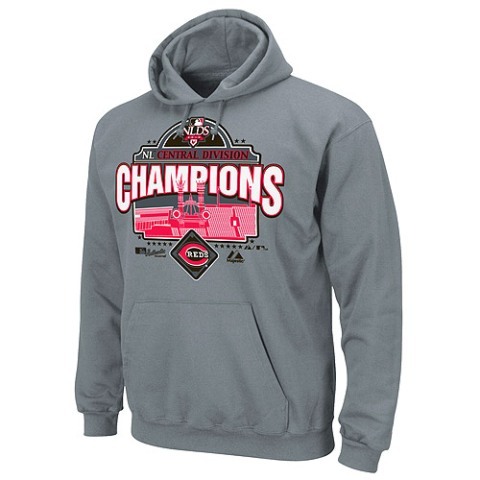 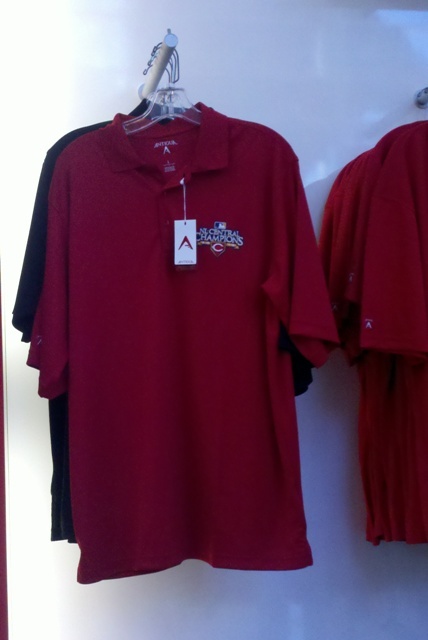 In case you missed it last week, I posted numerous pictures of available gear to celebrate the Cincinnati Reds 2010 National League Central Division Championship. 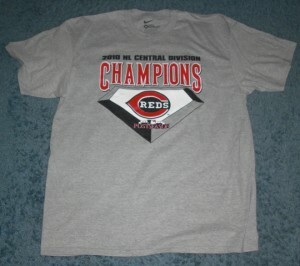 Click HERE if you missed it to see what first came out. 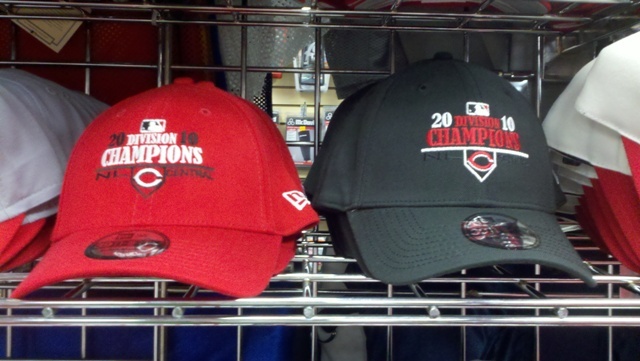 With the MLB Playoffs underway and the Division Series in full swing, I again searched the city to see what else I could find and what other gear was available for Reds fans to celebrate the Reds first Playoff berth in 15 years. Due to a lack of funds, I have not been able to purchase it all, but wanted to bring it to you to see. 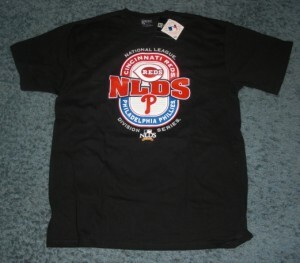 This stuff is available there. 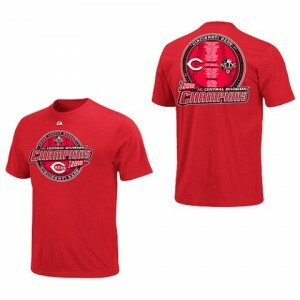 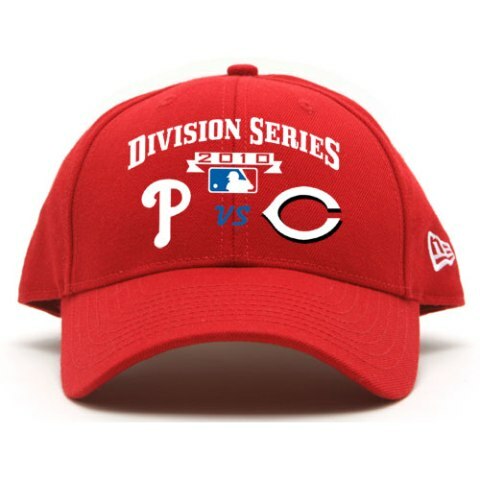 You may have to click on the “Reds” tab in the store and not go through the “Playoff” section to see it all. 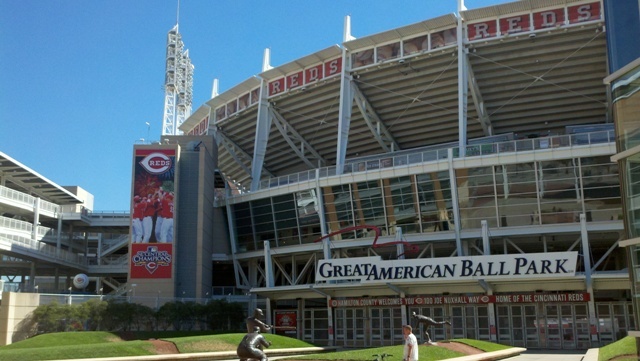 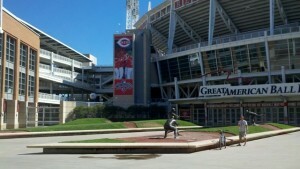 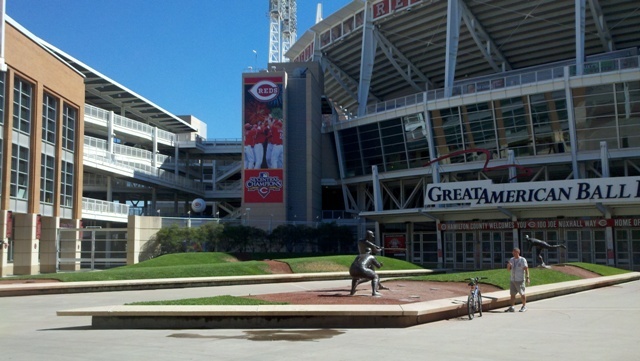 The view from the main plaza at Great American Ballpark. 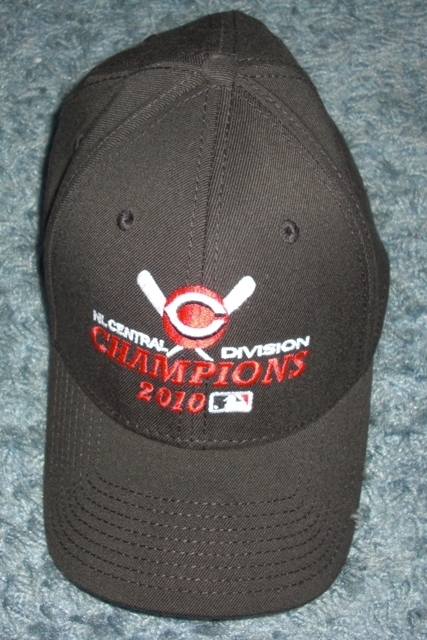 The team hung the Central Division Banner you see on the left the day after they clinched.